This FAQ is intended to explain many things about the SCA in a short and concise manner. You can find more verbose FAQs on the Official SCA FAQ and everywhere on the internet. Another helpful article is Wikipedia. Awards are recognition for skill, effort, or contributions to the Society. Who can recommend an award? Anyone can recommend anyone else for an award. There's even a handy online form for it. What kind of awards are there? There are Kingdom and local (in our case Elfsea's) awards. Each barony and province has one kingdom level award, the rest aren't recorded in the kingdom order of precedence. In addition the awards at both levels typically fall into Combat Skill, A&S skill, or effort put forth towards the society. The order of precedence, for most kingdoms in the SCA, is a listing of all the awards given to an individual. Ansteorra Order of Precedence. What are the light blue words? The light blue words are used to give more information about a specific subject without breaking the format of the page. Where can I send corrections? That's the Roman version of today's date with the SCA version of the year. To clarify on that point, rather than 'A.D.' or 'C.E.' we go by 'A.S.' or Anno Societatis. Latin for 'in the year of the society.' More information can be found here. More information on how Rome did their dates can be found on Google. Upon page load the top right corner will display the date chosen. Barony: area administered by a Baron and/or Baroness, the ceremonial representative(s) of the Crown (small chapter typically occurring in an urban area). Minimum members required 25. Shire: local branch reporting directly to a kingdom or principality (local chapter typically occurring in rural areas). Minimum members required 5. Guilds: Usually a group dedicated to some kind of artisan pursuit. Like a blacksmithing guild or some such. Household: The catch-all term for 'other' groups. Could be a group of friends or a group of students and masters of a fighting art. Because Dragonfire Tor's population varies far too much to stay above Barony levels. And falling below the 25 for any amount of time required is frowned upon. Additionally, we've been friendly with the Barony of Elfsea for so long and have been mutually beneficial that no one really pushes for it. The next officer up in the hierarchy. Local < Region < Kingdom < Crown. When the local Seneshal office is up for grabs, people send in their resumes to the Regional Seneshal. He then determines who he thinks is the most qualified after consulting with a few members of the group he's deciding for. And that's how it goes. Deputies are accepted or declined by the individual officers. They are assistants to the officers. If you want to be an officer then you should check our Officers page and see if the position is open to bids. Anyone can bid on any officer position, no matter how inexperienced or young. If it is open to bids then contact the officer that currently holds the position and the local Seneschal so that you can learn more about the duties and application process. Non-Members get charged $10 and have to fill out a waiver at our major events. The Kingdom divides its lands among its regions by zip codes. The zip codes that make up Dragonsfire Tor are listed in this document. The population of Dragonsfire Tor tends to vary between 10 and 40 active members depending on the year and depending on if the college students are in. The Barony of Elfsea is the barony that we are a part of. This makes the Baron and Baroness of Elfsea the Lord and Lady of Dragonsfire Tor. The Stellar Kingdom of Ansteorra is made up of most of Texas and Oklahoma. The Kingdom itself is divided into three different regions, as shown below. We are a part of the central region. What about the other kingdoms? 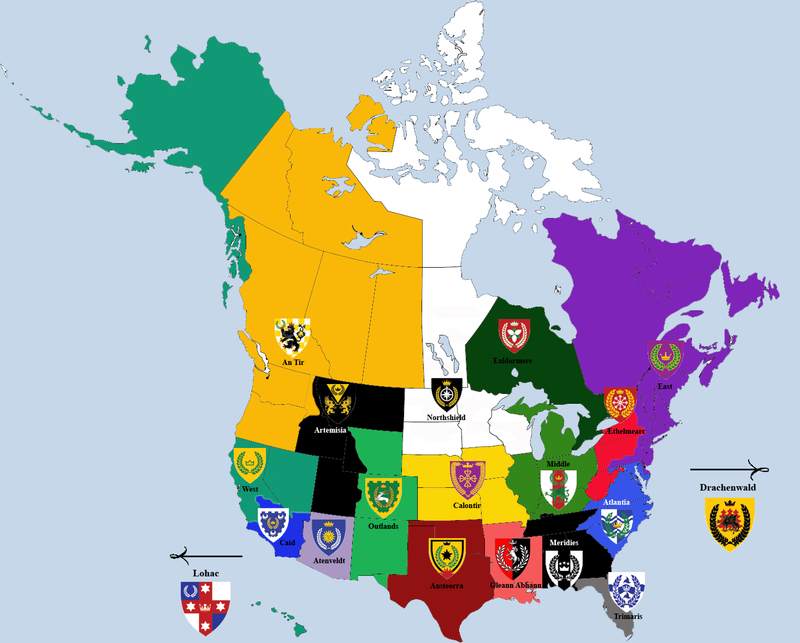 There's like 19 kingdoms in the SCA. There's groups all across the US, a Kingdom in Austraillia, one in Europe, and even the Japanese isles have a couple. Last modified: September 15 2014 08:52:39.